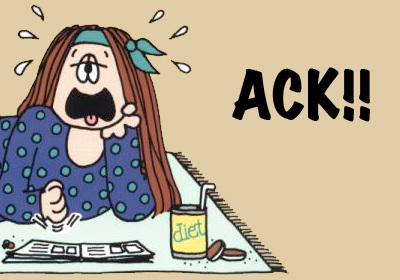 Cathy — It has been announced this week that cartoonist Cathy Guisewite’s 34 year-old (!) comic strip ends its long run this fall after giving a voice to harried single women everywhere. The following link, from the pop site Jezebel, posits that the hand-drawn everywoman may have accurately predicted some of the more major events in our nation’s history, from the economic crash to the Atkins diet. But the real question here is, what on earth are we going to chuckle at on the refrigerator every morning during our coffee here at TBTS Mansion? Time to bring it, Hi & Lois! Grammer, Kelsey — We reported here yesterday that Kelsey Grammer may already be holed up with a new lady after his third wife filed for divorced from him just this past July. Now the Huffington Post is reporting that the apparently quite virile Frasier star may have another child on the way with stewardess Kayte Walsh. Way to get back on the horse, I say. It’s as I always say: things aren’t always as bad as they seem — after all, there’s other fish in the air. Hatcher, Teri — Teri Hatcher made a huge announcement recently that she is botox-free. This has inspired me to make my own announcement. I have never had a cow stomach surgically grafted to my human stomach. Just like Teri Hatcher, I wanted to put to bed all those things you have never sat around wondering. You may go back to your lives now, America! Maxwell, Jan — The storied Broadway actress is slated to star in an upcoming Broadway revival of Wings, and I couldn’t be more excited. The goings-on of a wacky Nantucket airport certainly bear a resurgence on the Great White Way, with its doltish mechanic, dueling brothers, sassy waitress and…wait. Oh. Wings is a tony-nominated play from 1978? Not the NBC sitcom from the early nineties? Never mind. Puck — That empty void you’ve felt in your life because you don’t own any of David “Puck” Rainey’s belongings from his 1994 stint on MTV’s The Real World? It’s about to be filled. The former reality show character is on eBay auctioning off his actual messenger bag from the Real World‘s second season. The only way this is going to be worth anything is if there happens to be a first print cassingle of All-4-One’s chart-topping hit “I Swear” inside. Roberts, Julia — The actress tells reporters that her recent experience filming the cinema adaptation of the bestseller Eat, Pray, Love has inspired her to begin taking lead acting roles in movies again. Finally, we’ll get to see Julia Roberts as the main character in a movie instead of having to admire her in all those tiny, nearly-missable roles she’s been taking for the last, oh, fifteen years. That’s quite a revelation for her. Schwarzenegger, Darth — If you’re like me, you’ve always wondered what it might be like if the Terminator and Commando star played Darth Vader in the Star Wars movies. No, seriously, I think about it all the time. Seriously. Luckily, someone put all of our nerd and action love together in one very funny clip that sees the Jedi villain speaking only in lines from Arnie’s movies. Trust me, it sounds very stupid, but it’s very funny. The language isn’t safe for work, but it’s worth it. Enjoy.